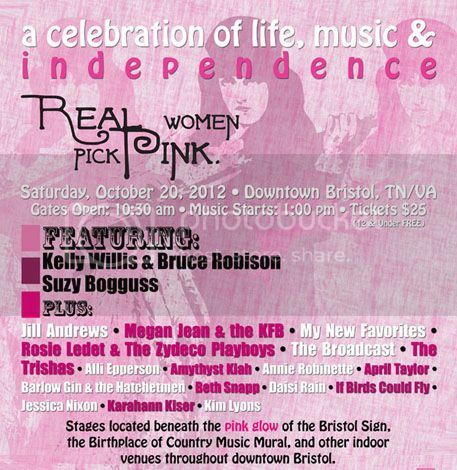 Jill will be playing in Bristol, TN/VA this Saturday, October 20 for the Real Women Pick Pink festival. Jill will be on the Mural Stage at 6:00PM. Click the poster below for a complete artist line-up!